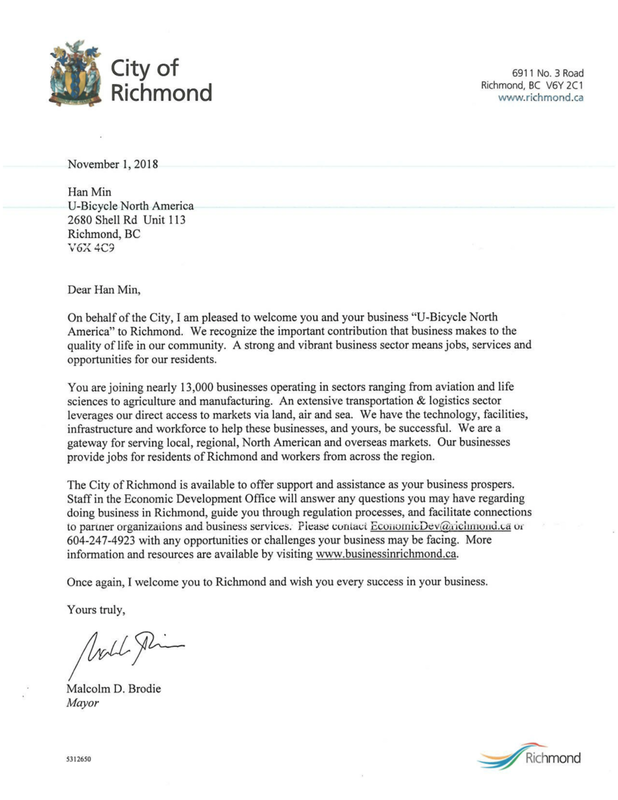 U-bicycle is proud to make an important contribution to the Richmond residents’ quality of life through an active, more affordable, and eco-friendly mode of transportation. Our bikes are suitable for everyone’s needs; may it be a simple ride to school, work, a quick errand or a mini adventure in the city, we got you all covered. In this opportunity, we would also like to thank Mayor Malcolm D. Brodie for the warm welcome and for the never-ending support. We look forward for the year ahead of us.